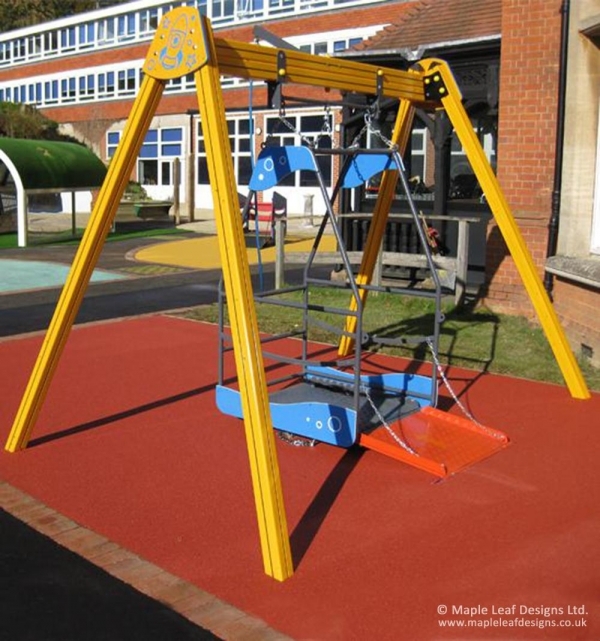 Our Wheelchair Swing is an amazing piece of play equipment for your inclusive or special educational needs playground. The main carriage includes a fold-down ramp for access and restraints to keep the wheelchair in place. Once inside, the user can rotate the crossbar by pulling on the hanging rope, setting the swing in motion. The same rope can be used to slow and stop the swing.